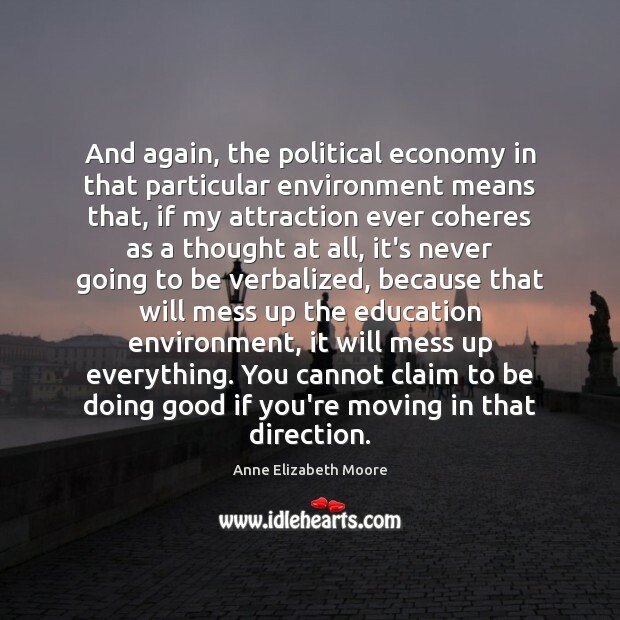 Enjoy the best inspirational, motivational, positive, funny and famous quotes by Anne Elizabeth Moore. Use words and picture quotations to push forward and inspire you keep going in life! 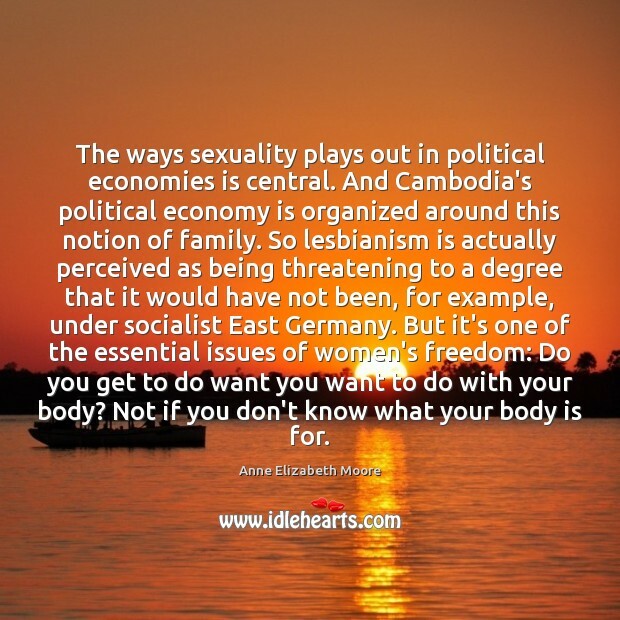 The ways sexuality plays out in political economies is central. And Cambodia's political economy is organized around this notion of family. So lesbianism is actually perceived as being threatening to a degree that it would have not been, for example, under socialist East Germany. But it's one of the essential issues of women's freedom: Do you get to do want you want to do with your body? Not if you don't know what your body is for. 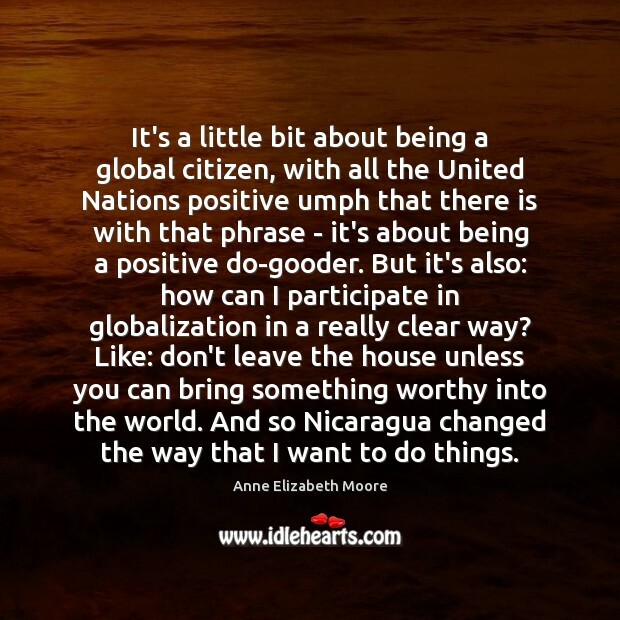 It's a little bit about being a global citizen, with all the United Nations positive umph that there is with that phrase - it's about being a positive do-gooder. 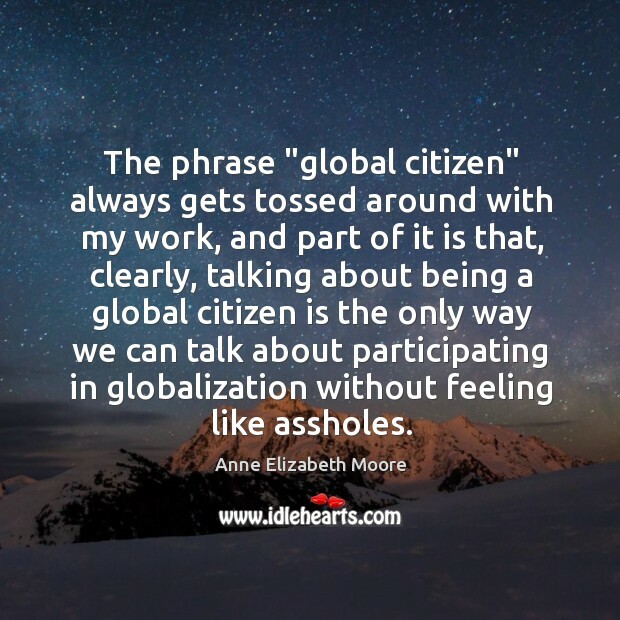 But it's also: how can I participate in globalization in a really clear way? Like: don't leave the house unless you can bring something worthy into the world. And so Nicaragua changed the way that I want to do things. I don't want to be like, yes, I think the American answer is always stupid, or I think it's always the right answer. So I'm in this weird place there. I'm feeling it out. 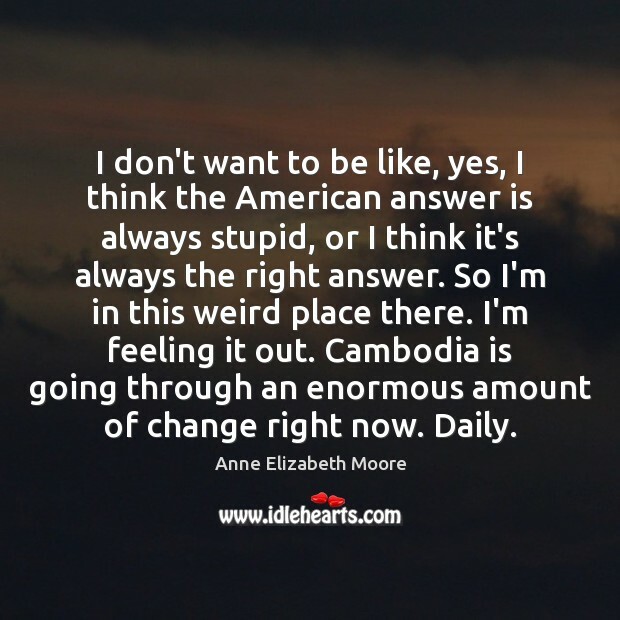 Cambodia is going through an enormous amount of change right now. Daily. And again, the political economy in that particular environment means that, if my attraction ever coheres as a thought at all, it's never going to be verbalized, because that will mess up the education environment, it will mess up everything. You cannot claim to be doing good if you're moving in that direction. Three days after my boyfriend left me, I discovered a closetful of his clothes. I thought of what I'd done in the past (bundling them up and sending them, COD: distributing them to my friends) even as I already had the scissors in hand and was cutting his shirts and a pair of pants into teeny pieces. 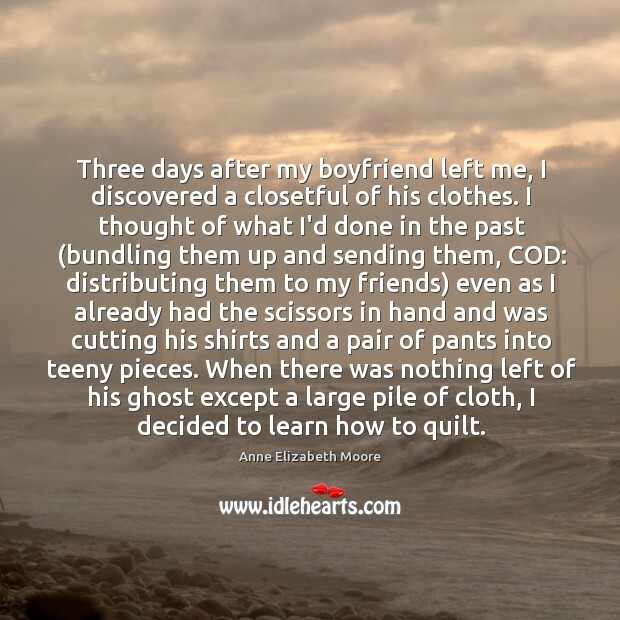 When there was nothing left of his ghost except a large pile of cloth, I decided to learn how to quilt.